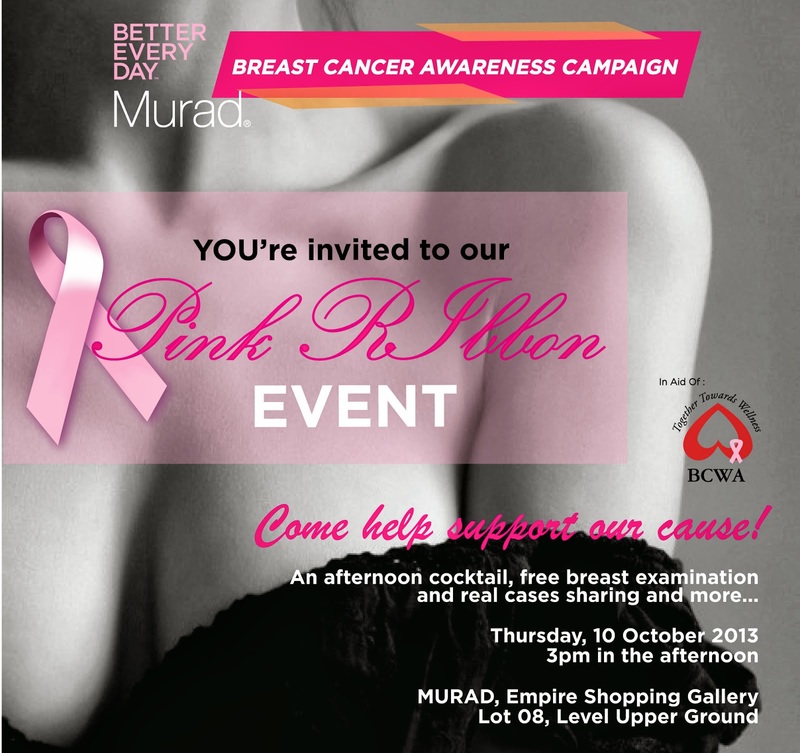 Murad Malaysia are proud to invite you to join their Pink Ribbon event which co-operate with BCWA (Breast Cancer Welfare Association) on Thursday, October 10th at 3:00 PM. Event will be held at Murad, Empire Shopping Gallery @ level UG. This event includes afternoon cocktail, free breast examination and real story sharing by BCWA. A limited edition of “Pink Ribbon” badge will be given to everyone who attend.